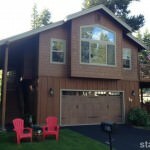 1193 Tomahawk Ln South Lake Tahoe CA offered at $495,000Here it is, just what you have been waiting for! Beautiful home, like new! 3 bed, 2.5 baths, split level, excellent condition. Nice quiet, flat, neighborhood with new construction and well maintained homes all around. Vacant lot across the street provides privacy and forest feel. More pictures to come. This one won't last.Continue Reading! 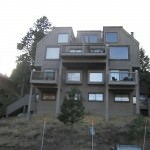 364 Quaking Aspen Lane #C Stateline NV offered at $349,000Cozy furnished 2 bedroom 2 bath condo right across from Heavenly Ski Resort. Spectacular views of the forest and mountains from every window. Vaulted pine ceilings, gas fireplace, and open floor plan make for easy entertaining with family and friends. Private sunny deck with BBQ and mountain views. Enjoy all that Tahoe has to offer with the Pacific Rim trail just minutes away. Hiking, mountain biking, snow mobiling, and skiing...Continue Reading!